What is the worst part of summer for you?? For me, staying in a humid city and sweating buckets is one big pain in the a**. In Kolkata, the average temperature these days is 41 degrees, which is unusual for this city. I can bear the heat wave, no problems with that, but I just cannot bear the sweat! Uggghhhh! I use up almost everything during these few months. I have added one more thing to the long list of lightly fragranced anti–perspirant products I own. And this one is a foot cream, from Oriflame. And now without further ado let’s move onto the review of this product. 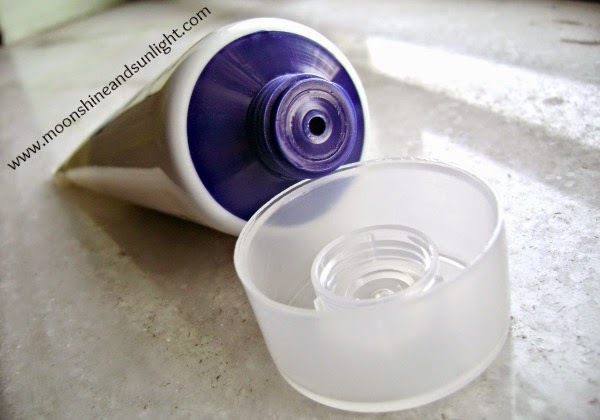 Packaging: - An opaque white tube with a transparent screw cap. The mouth of the tube is dark blue coloured and is sturdy. Has a small hole and enables easy and proper disposal of the product. The amount of product squeezed at a time is small due to this. The tube is really small and thus is travel friendly. Product: - The foot cream is a white cream with normal consistency and spreads nicely. The cream is very light and gets absorbed quickly. The fragrance though is quite sharp at first but it is pleasant. The fragrance stays for hardly 5 minutes and then almost vanishes. This is not a moisturizing foot cream at all. This is mostly for the fragrance and makes your feet look healthy. Moisturizing properties are nil! 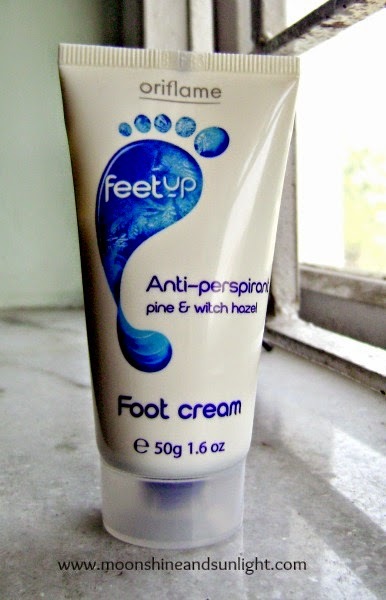 But if you are looking for moisturizing foot cream DO NOT buy this , it tends to dry out your feet at times! So, if you already have cracked heels, then don’t even think about this. It would have been lovely if this was moisturizing! I would not recommend this if you have cracked heels , but if you want to keep bad smell off your feet then go ahead! Have you tried this?? Or any other anti-perspirant foot cream?? I like moisturizing foot creams so would skip this.. Sounds nice! But I too like creams that moisturise!